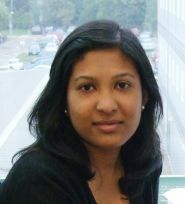 My research interests include development of vaccines against malaria and primarily vaccines that aim to block the sexual development of the malaria parasite in the mosquito vector and block transmission. The projects in the group ranges from vaccine design, generation and pre-clinical testing to GMP manufacture and Phase 1 human clinical trials. The group currently focuses on the pre-clinical development and comparative assessment of novel transmission-blocking vaccines and early stage clinical testing of the promising candidates in collaboration with a number of industrial partners like Imaxio, ExpreS2ion and GSK. In the last few years we have worked on various platforms for generating recombinant protein and virus-like- particle vaccines for the induction of high titre functional antibody responses. We are currently testing simian adenovirus (ChAd63) and poxvirus (MVA) viral vectored vaccines expressing the transmission-blocking vaccine candidate Pfs25 fused to a multimerisation domain (IMX313) in human clinical trials to assess the it’s safety, immunogenicity and ex vivo efficacy. We are also in the process of GMP manufacturing a nanoparticle vaccine and progressing it to Phase 1 clinical trials. The group also has strong links with collaborators in malaria endemic areas (Kenya and Burkina Faso) to test these candidates further. With the increasing prevalence of artemisinin-resistant malaria parasites, a highly efficacious and durable vaccine for malaria is urgently required. We have developed an experimental virus-vectored vaccine platform based on an envelope-modified baculovirus dual-expression system (emBDES). Here, we show a conceptually new vaccine platform based on an adenovirus-prime/emBDES-boost heterologous immunization regimen expressing the Plasmodium falciparum circumsporozoite protein (PfCSP). A human adenovirus 5-prime/emBDES-boost heterologous immunization regimen consistently achieved higher sterile protection against transgenic P. berghei sporozoites expressing PfCSP after a mosquito-bite challenge than reverse-ordered or homologous immunization. This high protective efficacy was also achieved with a chimpanzee adenovirus 63-prime/emBDES-boost heterologous immunization regimen against an intravenous sporozoite challenge. Thus, we show that the adenovirus-prime/emBDES-boost heterologous immunization regimen confers sterile protection against sporozoite challenge by two individual routes, providing a promising new malaria vaccine platform for future clinical use. A malaria transmission-blocking vaccine would be a critical tool in achieving malaria elimination and eradication. By using chimpanzee adenovirus serotype 63 and modified vaccinia virus Ankara viral vectored vaccines, we investigated whether incorporating two antigens into one vaccine would result in higher transmission-reducing activity than one antigen. We demonstrated that when Pfs25 was administered with other antigens Pfs28 or Pfs230C, either concurrently as a mixed vaccine or co-expressed as a dual-antigen vaccine, the antibody response in mice to each antigen was comparable to a monoantigen vaccine, without immunological interference. However, we found that the transmission-reducing activity (functional activity) of dual-antigen vaccines was not additive. Dual-antigen vaccines generally only elicited similar transmission-reducing activity to monoantigen vaccines and in one instance had lower transmission-reducing activity. We found that despite the lack of immunological interference of dual-antigen vaccines, they are still not as effective at blocking malaria transmission as Pfs25-IMX313, the current leading candidate for viral vectored vaccines. Pfs25-IMX313 elicited similar quality antibodies to dual-antigen vaccines, but higher antibody titers. Epidemiological observations have linked increased host iron with malaria susceptibility, and perturbed iron handling has been hypothesized to contribute to the potentially life-threatening anemia that may accompany blood-stage malaria infection. To improve our understanding of these relationships, we examined the pathways involved in regulation of the master controller of iron metabolism, the hormone hepcidin, in malaria infection. We show that hepcidin upregulation in Plasmodium berghei murine malaria infection was accompanied by changes in expression of bone morphogenetic protein (BMP)/sons of mothers against decapentaplegic (SMAD) pathway target genes, a key pathway involved in hepcidin regulation. We therefore investigated known agonists of the BMP/SMAD pathway and found that Bmp gene expression was not increased in infection. In contrast, activin B, which can signal through the BMP/SMAD pathway and has been associated with increased hepcidin during inflammation, was upregulated in the livers of Plasmodium berghei-infected mice; hepatic activin B was also upregulated at peak parasitemia during infection with Plasmodium chabaudi Concentrations of the closely related protein activin A increased in parallel with hepcidin in serum from malaria-naive volunteers infected in controlled human malaria infection (CHMI) clinical trials. However, antibody-mediated neutralization of activin activity during murine malaria infection did not affect hepcidin expression, suggesting that these proteins do not stimulate hepcidin upregulation directly. In conclusion, we present evidence that the BMP/SMAD signaling pathway is perturbed in malaria infection but that activins, although raised in malaria infection, may not have a critical role in hepcidin upregulation in this setting. Plasmodium falciparum malaria continues to evade control efforts, utilizing highly specialized sexual-stages to transmit infection between the human host and mosquito vector. In a vaccination model, antibodies directed to sexual-stage antigens, when ingested in the mosquito blood meal, can inhibit parasite growth in the midgut and consequently arrest transmission. Despite multiple datasets for the Plasmodium sexual-stage transcriptome and proteome, there have been no rational screens to identify candidate antigens for transmission-blocking vaccine (TBV) development. This study characterizes 12 proteins from across the P. falciparum sexual-stages as possible TBV targets. Recombinant proteins are heterologously expressed as full-length ectodomains in a mammalian HEK293 cell system. The proteins recapitulate native parasite epitopes as assessed by indirect fluorescence assay and a proportion exhibits immunoreactivity when tested against sera from individuals living in malaria-endemic Burkina Faso and Mali. Purified IgG generated to the mosquito-stage parasite antigen enolase demonstrates moderate inhibition of parasite development in the mosquito midgut by the ex vivo standard membrane feeding assay. The findings support the use of rational screens and comparative functional assessments in identifying proteins of the P. falciparum transmission pathway and establishing a robust pre-clinical TBV pipeline. Vaccine development efforts have recently focused on enabling strong immune responses to poorly immunogenic antigens, via display on multimerisation scaffolds or virus like particles (VLPs). Typically such studies demonstrate improved antibody titer comparing monomeric and nano-arrayed antigen. There are many such studies and scaffold technologies, but minimal side-by-side evaluation of platforms for both the amount and efficacy of antibodies induced. Here we present direct comparison of three leading platforms displaying the promising malaria transmission-blocking vaccine (TBV) target Pfs25. These platforms encompass the three important routes to antigen-scaffold linkage: genetic fusion, chemical cross-linking and plug-and-display SpyTag/SpyCatcher conjugation. We demonstrate that chemically-conjugated Qβ VLPs elicited the highest quantity of antibodies, while SpyCatcher-AP205-VLPs elicited the highest quality anti-Pfs25 antibodies for transmission blocking upon mosquito feeding. These quantative and qualitative features will guide future nanoassembly optimisation, as well as the development of the new generation of malaria vaccines targeting transmission. A persistent goal of vaccine development is the enhancement of the immunogenicity of antigens while maintaining safety. One strategy involves alteration of the presentation of the antigen by combining antigens with a multimeric scaffold. Multi-antigen vaccines are under development, and there are presently far more candidate antigens than antigen scaffolding strategies. This is potentially problematic, since prior immunity to a scaffold may inhibit immune responses to the antigen-scaffold combination. In this study, a series of domains from S. aureus which have been shown to crystallise into multimeric structures have been examined for their scaffolding potential. Of these domains, SAR1376, a 62 amino acid member of the 4-oxalocrotonate tautomerase (4-OT) family, was pro-immunogenic in mice when fused to a range of pathogen antigens from both S. aureus and P. falciparum, and delivered by either DNA vaccination, viral vector vaccines or as protein-in-adjuvant formulations. The adjuvant effect did not depend on enzymatic activity, but was abrogated by mutations disrupting the hexameric structure of the protein. We therefore propose that SAR1376, and perhaps other members of the 4-OT protein family, represent very small domains which can be fused to a wide range of antigens, enhancing immune responses against them. Engineering modular platforms to control biomolecular architecture can advance both the understanding and the manipulation of biological systems. Icosahedral particles uniformly displaying single antigens stimulate potent immune activation and have been successful in various licensed vaccines. However, it remains challenging to display multiple antigens on a single particle and to induce broader immunity protective across strains or even against distinct diseases. Here, we design a dually addressable synthetic nanoparticle by engineering the multimerizing coiled-coil IMX313 and two orthogonally reactive split proteins. SpyCatcher protein forms an isopeptide bond with SpyTag peptide through spontaneous amidation. SnoopCatcher forms an isopeptide bond with SnoopTag peptide through transamidation. SpyCatcher-IMX-SnoopCatcher provides a modular platform, whereby SpyTag-antigen and SnoopTag-antigen can be multimerized on opposite faces of the particle simply upon mixing. We demonstrate efficient derivatization of the platform with model proteins and complex pathogen-derived antigens. SpyCatcher-IMX-SnoopCatcher was expressed in Escherichia coli and was resilient to lyophilization or extreme temperatures. For the next generation of malaria vaccines, blocking the transmission of the parasite from human to mosquito is an important goal. SpyCatcher-IMX-SnoopCatcher multimerization of the leading transmission-blocking antigens Pfs25 and Pfs28 greatly enhanced the antibody response to both antigens in comparison to the monomeric proteins. This dual plug-and-display architecture should help to accelerate vaccine development for malaria and other diseases. Malaria transmission blocking (TB) vaccines (TBVs) directed against proteins expressed on the sexual stages of Plasmodium parasites are a potentially effective means to reduce transmission. Antibodies induced by TBVs block parasite development in the mosquito, and thus inhibit transmission to further human hosts. The ookinete surface protein P25 is a primary target for TBV development. Recently, transient expression in plants using hybrid viral vectors has demonstrated potential as a strategy for cost-effective and scalable production of recombinant vaccines. 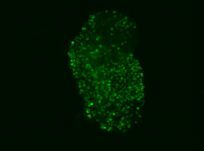 Using a plant virus-based expression system, we produced recombinant P25 protein of Plasmodium vivax (Pvs25) in Nicotiana benthamiana fused to a modified lichenase carrier protein. This candidate vaccine, Pvs25-FhCMB, was purified, characterized and evaluated for immunogenicity and efficacy using multiple adjuvants in a transgenic rodent model. An in vivo TB effect of up to a 65% reduction in intensity and 54% reduction in prevalence was observed using Abisco-100 adjuvant. The ability of this immunogen to induce a TB response was additionally combined with heterologous prime-boost vaccination with viral vectors expressing Pvs25. Significant blockade was observed when combining both platforms, achieving a 74% and 68% reduction in intensity and prevalence, respectively. This observation was confirmed by direct membrane feeding on field P. vivax samples, resulting in reductions in intensity/prevalence of 85.3% and 25.5%. These data demonstrate the potential of this vaccine candidate and support the feasibility of expressing Plasmodium antigens in a plant-based system for the production of TBVs, while demonstrating the potential advantages of combining multiple vaccine delivery systems to maximize efficacy. Virus-like particles (VLPs) are non-infectious self-assembling nanoparticles, useful in medicine and nanotechnology. Their repetitive molecularly-defined architecture is attractive for engineering multivalency, notably for vaccination. However, decorating VLPs with target-antigens by genetic fusion or chemical modification is time-consuming and often leads to capsid misassembly or antigen misfolding, hindering generation of protective immunity. Here we establish a platform for irreversibly decorating VLPs simply by mixing with protein antigen. SpyCatcher is a genetically-encoded protein designed to spontaneously form a covalent bond to its peptide-partner SpyTag. We expressed in E. coli VLPs from the bacteriophage AP205 genetically fused to SpyCatcher. We demonstrated quantitative covalent coupling to SpyCatcher-VLPs after mixing with SpyTag-linked to malaria antigens, including CIDR and Pfs25. In addition, we showed coupling to the VLPs for peptides relevant to cancer from epidermal growth factor receptor and telomerase. Injecting SpyCatcher-VLPs decorated with a malarial antigen efficiently induced antibody responses after only a single immunization. This simple, efficient and modular decoration of nanoparticles should accelerate vaccine development, as well as other applications of nanoparticle devices. Plasmodium parasites are the causative agent of human malaria, and the development of a highly effective vaccine against infection, disease and transmission remains a key priority. It is widely established that multiple stages of the parasite's complex lifecycle within the human host and mosquito vector are susceptible to vaccine-induced antibodies. The mainstay approach to antibody induction by subunit vaccination has been the delivery of protein antigen formulated in adjuvant. Extensive efforts have been made in this endeavor with respect to malaria vaccine development, especially with regard to target antigen discovery, protein expression platforms, adjuvant testing, and development of soluble and virus-like particle (VLP) delivery platforms. The breadth of approaches to protein-based vaccines is continuing to expand as innovative new concepts in next-generation subunit design are explored, with the prospects for the development of a highly effective multi-component/multi-stage/multi-antigen formulation seeming ever more likely. This review will focus on recent progress in protein vaccine design, development and/or clinical testing for a number of leading malaria antigens from the sporozoite-, merozoite- and sexual-stages of the parasite's lifecycle-including PfCelTOS, PfMSP1, PfAMA1, PfRH5, PfSERA5, PfGLURP, PfMSP3, Pfs48/45 and Pfs25. Future prospects and challenges for the development, production, human delivery and assessment of protein-based malaria vaccines are discussed. Da DF, Bompard A, Yerbanga RS, Lefevre T, Yameogo BK, Biswas S, Ouedraogo JB, Churcher TS, Cohuet A. 2015. INTERACTIONS BETWEEN TRANSMISSION BLOCKING VACCINES AND NATURAL IMMUNITY AGAINST PLASMODIUM FALCIPARUM	AMERICAN JOURNAL OF TROPICAL MEDICINE AND HYGIENE,	93	(4),	pp. 168-168. Bompard A, Da DF, Rijpma S, Yerbanga S, Lefevre T, Biswas S, Bousema T, Cohuet A, Churcher T.	2015. A FRAMEWORK FOR EVALUATING DIFFERENT MALARIA TRANSMISSION BLOCKING VACCINES	AMERICAN JOURNAL OF TROPICAL MEDICINE AND HYGIENE,	93	(4),	pp. 301-301. Malaria transmission-blocking vaccines (TBVs) target the development of Plasmodium parasites within the mosquito, with the aim of preventing malaria transmission from one infected individual to another. Different vaccine platforms, mainly protein-in-adjuvant formulations delivering the leading candidate antigens, have been developed independently and have reported varied transmission-blocking activities (TBA). Here, recombinant chimpanzee adenovirus 63, ChAd63, and modified vaccinia virus Ankara, MVA, expressing AgAPN1, Pfs230-C, Pfs25, and Pfs48/45 were generated. Antibody responses primed individually against all antigens by ChAd63 immunization in BALB/c mice were boosted by the administration of MVA expressing the same antigen. 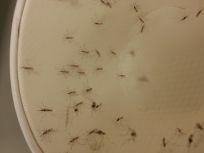 These antibodies exhibited a hierarchy of inhibitory activity against the NF54 laboratory strain of P. falciparum in Anopheles stephensi mosquitoes using the standard membrane feeding assay (SMFA), with anti-Pfs230-C and anti-Pfs25 antibodies giving complete blockade. The observed rank order of inhibition was replicated against P. falciparum African field isolates in A. gambiae in direct membrane feeding assays (DMFA). TBA achieved was IgG concentration dependent. This study provides the first head-to-head comparative analysis of leading antigens using two different parasite sources in two different vector species, and can be used to guide selection of TBVs for future clinical development using the viral-vectored delivery platform. The continued global burden of malaria can in part be attributed to a complex lifecycle, with both human hosts and mosquito vectors serving as transmission reservoirs. In preclinical models of vaccine-induced immunity, antibodies to parasite sexual-stage antigens, ingested in the mosquito blood meal, can inhibit parasite survival in the insect midgut as judged by ex vivo functional studies such as the membrane feeding assay. In an era of renewed political momentum for malaria elimination and eradication campaigns, such observations have fueled support for the development and implementation of so-called transmission-blocking vaccines. While leading candidates are being evaluated using a variety of promising vaccine platforms, the field is also beginning to capitalize on global '-omics' data for the rational genome-based selection and unbiased characterization of parasite and mosquito proteins to expand the candidate list. This review covers the progress and prospects of these recent developments. The mosquito innate immune response is able to clear the majority of Plasmodium parasites. This immune clearance is controlled by a number of regulatory molecules including serine protease inhibitors (serpins). To determine whether such molecules could represent a novel target for a malaria transmission-blocking vaccine, we vaccinated mice with Anopheles gambiae serpin-2. Antibodies against Anopheles gambiae serpin-2 significantly reduced the infection of a heterologous Anopheles species (Anopheles stephensi) by Plasmodium berghei, however this effect was not observed with Plasmodium falciparum. Therefore, this approach of targeting regulatory molecules of the mosquito immune system may represent a novel approach to transmission-blocking malaria vaccines. Since 2010 two global reviews of malaria research have recognized that local elimination and eradication of Plasmodium parasites are key drivers for further experimentation. To achieve these ambitious objectives it is universally recognized we must reduce malaria transmission through the mosquito vectors. A plethora of new laboratory assays are being developed to interrogate malaria transmission from the gametocyte to the sporozoite stage: assays that augment well-established field protocols to determine the entomological inoculation rate. However, the diverse readouts of these assays are not directly comparable. Here we attempt to identify the utility of each assay and provide rational frameworks by which to compare the impacts recorded by the diverse methodologies. © 2012 Elsevier Ltd. The standard membrane feeding assay (SMFA) is currently considered to be the 'gold standard' for assessing the effectiveness of malaria transmission blocking interventions (TBIs) in vivo. 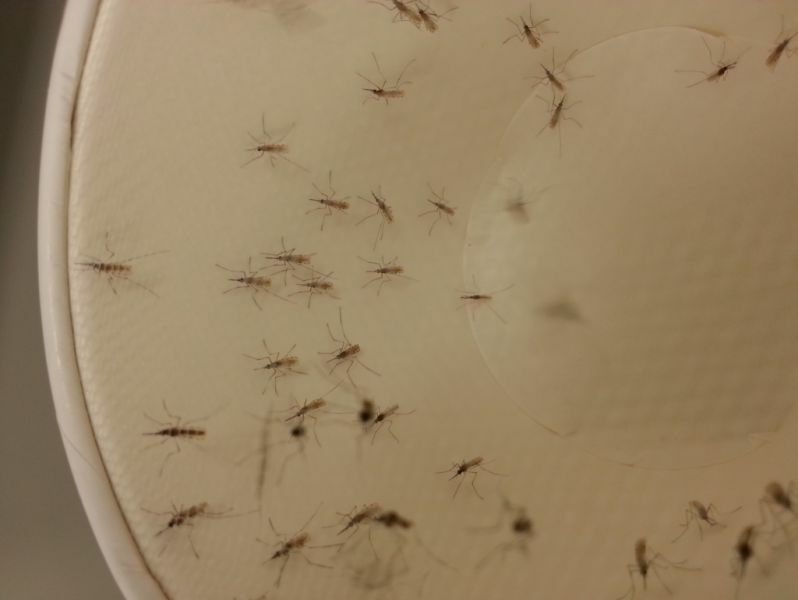 The operation and analysis of SMFAs has varied between laboratories: field scientists often measure TBI efficacy as a reduction in the prevalence of infected mosquitoes whilst laboratory scientists are more likely to quote efficacy as a change in the number of oocysts within the mosquito. These metrics give outputs that differ widely, resulting in a need for greater understanding of how the SMFA informs TBI assessment. Using data from 536 different assays (conducted on Plasmodium falciparum and Plasmodium berghei, in either Anopheles gambiae or Anopheles stephensi) it is shown that the relationship between these metrics is complex, yet predictable. Results demonstrate that the distribution of oocysts between mosquitoes is highly aggregated, making efficacy estimates based on reductions in intensity highly uncertain. Analysis of 30 SMFAs carried out on the same TBI confirms that the observed reduction in prevalence depends upon the parasite exposure (as measured by oocyst intensity in the control group), with assays which have lower exposure appearing more effective. By contrast, if efficacy is estimated as a reduction in oocyst intensity, then this candidate demonstrated constant efficacy, irrespective of the exposure level. To report transmission-blockade efficacy accurately, the results of SMFAs should give both the prevalence and intensity of oocysts in both the control and intervention group. Candidates should be assessed against a range of parasite exposures to allow laboratory results to be extrapolated to different field situations. Currently, many studies assessing TBIs are underpowered and uncertainties in efficacy estimates rarely reported. Statistical techniques that account for oocyst over-dispersion can reduce the number of mosquitoes that need to be dissected and allow TBI candidates from different laboratories to be accurately compared. Viral vectored vaccines have been shown to induce both T cell and antibody responses in animals and humans. However, the induction of even higher level T cell responses may be crucial in achieving vaccine efficacy against difficult disease targets, especially in humans. Here we investigate the oligomerization domain of the α-chain of C4b-binding protein (C4 bp) as a candidate T cell "molecular adjuvant" when fused to malaria antigens expressed by human adenovirus serotype 5 (AdHu5) vectored vaccines in BALB/c mice. We demonstrate that i) C-terminal fusion of an oligomerization domain can enhance the quantity of antigen-specific CD4(+) and CD8(+) T cell responses induced in mice after only a single immunization of recombinant AdHu5, and that the T cells maintain similar functional cytokine profiles; ii) an adjuvant effect is observed for AdHu5 vectors expressing either the 42 kDa C-terminal domain of Plasmodium yoelii merozoite surface protein 1 (PyMSP1(42)) or the 83 kDa ectodomain of P. falciparum strain 3D7 apical membrane antigen 1 (PfAMA1), but not a candidate 128kDa P. falciparum MSP1 biallelic fusion antigen; iii) following two homologous immunizations of AdHu5 vaccines, antigen-specific T cell responses are further enhanced, however, in both BALB/c mice and New Zealand White rabbits no enhancement of functional antibody responses is observed; and iv) that the T cell adjuvant activity of C4 bp is not dependent on a functional Fc-receptor γ-chain in the host, but is associated with the oligomerization of small (<80 kDa) antigens expressed by recombinant AdHu5. The oligomerization domain of C4 bp can thus adjuvant T cell responses induced by AdHu5 vectors against selected antigens and its clinical utility as well as mechanism of action warrant further investigation. Since 2010 two global reviews of malaria research have recognized that local elimination and eradication of Plasmodium parasites are key drivers for further experimentation. To achieve these ambitious objectives it is universally recognized we must reduce malaria transmission through the mosquito vectors. 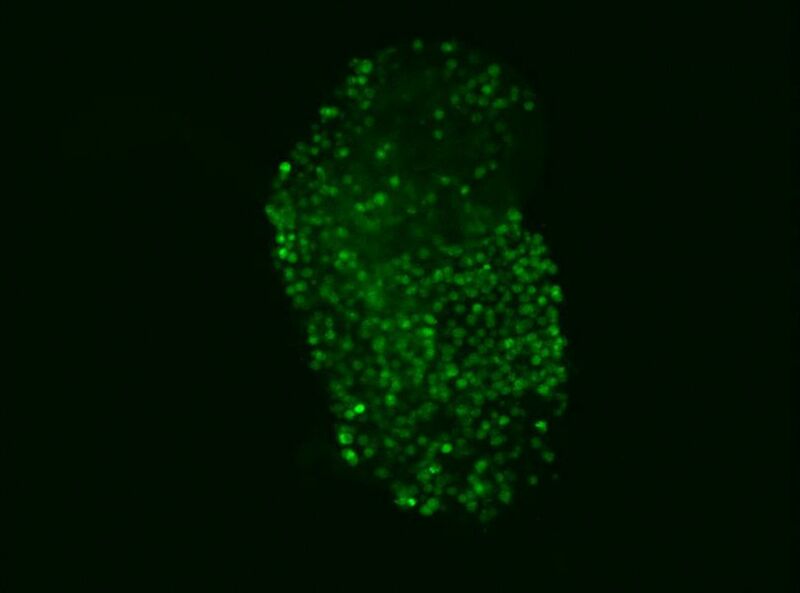 A plethora of new laboratory assays are being developed to interrogate malaria transmission from the gametocyte to the sporozoite stage: assays that augment well-established field protocols to determine the entomological inoculation rate. However, the diverse readouts of these assays are not directly comparable. Here we attempt to identify the utility of each assay and provide rational frameworks by which to compare the impacts recorded by the diverse methodologies. Apical membrane Ag 1 (AMA1) is one of the leading candidate Ags for inclusion in a subunit vaccine against blood-stage malaria. However, the efficacy of Ab-inducing recombinant AMA1 protein vaccines in phase IIa/b clinical trials remains disappointing. In this article, we describe the development of recombinant human adenovirus serotype 5 and modified vaccinia virus Ankara vectors encoding AMA1 from the Plasmodium chabaudi chabaudi strain AS. These vectors, when used in a heterologous prime-boost regimen in BALB/c mice, are capable of inducing strong transgene-specific humoral and cellular immune responses. We show that this vaccination regimen is protective against a nonlethal P. chabaudi chabaudi strain AS blood-stage challenge, resulting in reduced peak parasitemias. The role of vaccine-induced, AMA1-specific Abs and T cells in mediating the antiparasite effect was investigated by in vivo depletion of CD4(+) T cells and adoptive-transfer studies into naive and immunodeficient mice. Depletion of CD4(+) T cells led to a loss of vaccine-induced protection. Adoptive-transfer studies confirmed that efficacy is mediated by both CD4(+) T cells and Abs functioning in the context of an intact immune system. Unlike previous studies, these results confirm that Ag-specific CD4(+) T cells, induced by a clinically relevant vaccine-delivery platform, can make a significant contribution to vaccine blood-stage efficacy in the P. chabaudi model. Given that cell-mediated immunity may also contribute to parasite control in human malaria, these data support the clinical development of viral-vectored vaccines that induce both T cell and Abs against Plasmodium falciparum blood-stage malaria Ags like AMA1. The ookinete surface protein Pfs25 is a macrogamete-to-ookinete/ookinete stage antigen of Plasmodium falciparum, capable of exerting high-level anti-malarial transmission-blocking activity following immunization with recombinant protein-in-adjuvant formulations. Here, this antigen was expressed in recombinant chimpanzee adenovirus 63 (ChAd63), human adenovirus serotype 5 (AdHu5) and modified vaccinia virus Ankara (MVA) viral vectored vaccines. Two immunizations were administered to mice in a heterologous prime-boost regime. Immunization of mice with AdHu5 Pfs25 at week 0 and MVA Pfs25 at week 10 (Ad-MVA Pfs25) resulted in high anti-Pfs25 IgG titers, consisting of predominantly isotypes IgG1 and IgG2a. A single priming immunization with ChAd63 Pfs25 was as effective as AdHu5 Pfs25 with respect to ELISA titers at 8 weeks post-immunization. Sera from Ad-MVA Pfs25 immunized mice inhibited the transmission of P. falciparum to the mosquito both ex vivo and in vivo. In a standard membrane-feeding assay using NF54 strain P. falciparum, oocyst intensity in Anopheles stephensi mosquitoes was significantly reduced in an IgG concentration-dependent manner when compared to control feeds (96% reduction of intensity, 78% reduction in prevalence at a 1 in 5 dilution of sera). In addition, an in vivo transmission-blocking effect was also demonstrated by direct feeding of immunized mice infected with Pfs25DR3, a chimeric P. berghei line expressing Pfs25 in place of endogenous Pbs25. In this assay the density of Pfs25DR3 oocysts was significantly reduced when mosquitoes were fed on vaccinated as compared to control mice (67% reduction of intensity, 28% reduction in prevalence) and specific IgG titer correlated with efficacy. These data confirm the utility of the adenovirus-MVA vaccine platform for the induction of antibodies with transmission-blocking activity, and support the continued development of this alternative approach to transmission-blocking malaria subunit vaccines. We examined the safety, immunogenicity and efficacy of a prime-boost vaccination regime involving two poxvirus malaria subunit vaccines, FP9-PP and MVA-PP, expressing the same polyprotein consisting of six pre-erythrocytic antigens from Plasmodium falciparum. Following safety assessment of single doses, 15 volunteers received a heterologous prime-boost vaccination regime and underwent malaria sporozoite challenge. The vaccines were safe but interferon-γ ELISPOT responses were low compared to other poxvirus vectors, despite targeting multiple antigens. There was no vaccine efficacy as measured by delay in time to parasitaemia. A number of possible explanations are discussed, including the very large insert size of the polyprotein transgene. © 2011 Elsevier Ltd.
Replication-deficient adenovirus and modified vaccinia virus Ankara (MVA) vectors expressing single pre-erythrocytic or blood-stage Plasmodium falciparum Ags have entered clinical testing using a heterologous prime-boost immunization approach. In this study, we investigated the utility of the same immunization regimen when combining viral vectored vaccines expressing the 42-kDa C terminus of the blood-stage Ag merozoite surface protein 1 and the pre-erythrocytic Ag circumsporozoite protein in the Plasmodium yoelii mouse model. We find that vaccine coadministration leads to maintained Ab responses and efficacy against blood-stage infection, but reduced secondary CD8(+) T cell responses against both Ags and efficacy against liver-stage infection. CD8(+) T cell interference can be minimized by coadministering the MVA vaccines at separate sites, resulting in enhanced liver-stage efficacy in mice immunized against both Ags compared with just one. CD8(+) T cell interference (following MVA coadministration as a mixture) may be caused partly by a lack of physiologic space for high-magnitude responses against multiple Ags, but is not caused by competition for presentation of Ag on MHC class I molecules, nor is it due to restricted T cell access to APCs presenting both Ags. Instead, enhanced killing of peptide-pulsed cells is observed in mice possessing pre-existing T cells against two Ags compared with just one, suggesting that priming against multiple Ags may in part reduce the potency of multiantigen MVA vectors to stimulate secondary CD8(+) T cell responses. These data have important implications for the development of a multistage or multicomponent viral vectored malaria vaccine for use in humans. BACKGROUND: Apical membrane antigen 1 (AMA1) is a leading candidate vaccine antigen against blood-stage malaria, although to date numerous clinical trials using mainly protein-in-adjuvant vaccines have shown limited success. Here we describe the pre-clinical development and optimization of recombinant human and simian adenoviral (AdHu5 and ChAd63) and orthopoxviral (MVA) vectors encoding transgene inserts for Plasmodium falciparum AMA1 (PfAMA1). METHODOLOGY/PRINCIPAL FINDINGS: AdHu5-MVA prime-boost vaccination in mice and rabbits using these vectors encoding the 3D7 allele of PfAMA1 induced cellular immune responses as well as high-titer antibodies that showed growth inhibitory activity (GIA) against the homologous but not heterologous parasite strains. In an effort to overcome the issues of PfAMA1 antigenic polymorphism and pre-existing immunity to AdHu5, a simian adenoviral (ChAd63) vector and MVA encoding two alleles of PfAMA1 were developed. This antigen, composed of the 3D7 and FVO alleles of PfAMA1 fused in tandem and with expression driven by a single promoter, was optimized for antigen secretion and transmembrane expression. These bi-allelic PfAMA1 vaccines, when administered to mice and rabbits, demonstrated comparable immunogenicity to the mono-allelic vaccines and purified serum IgG now showed GIA against the two divergent strains of P. falciparum encoded in the vaccine. CD8(+) and CD4(+) T cell responses against epitopes that were both common and unique to the two alleles of PfAMA1 were also measured in mice. CONCLUSIONS/SIGNIFICANCE: Optimized transgene inserts encoding two divergent alleles of the same antigen can be successfully inserted into adeno- and pox-viral vaccine vectors. Adenovirus-MVA immunization leads to the induction of T cell responses common to both alleles, as well as functional antibody responses that are effective against both of the encoded strains of P. falciparum in vitro. These data support the further clinical development of these vaccine candidates in Phase I/IIa clinical trials. We examined the safety, immunogenicity and efficacy of a prime-boost vaccination regime involving two poxvirus malaria subunit vaccines, FP9-PP and MVA-PP, expressing the same polyprotein consisting of six pre-erythrocytic antigens from Plasmodium falciparum. Following safety assessment of single doses, 15 volunteers received a heterologous prime-boost vaccination regime and underwent malaria sporozoite challenge. The vaccines were safe but interferon-γ ELISPOT responses were low compared to other poxvirus vectors, despite targeting multiple antigens. There was no vaccine efficacy as measured by delay in time to parasitaemia. A number of possible explanations are discussed, including the very large insert size of the polyprotein transgene. © 2009 Elsevier Inc. The study was supported by funding from the NIHR Oxford Biomedical Research Centre program. Protein-in-adjuvant formulations and viral-vectored vaccines encoding blood-stage malaria Ags have shown efficacy in rodent malaria models and in vitro assays against Plasmodium falciparum. Abs and CD4(+) T cell responses are associated with protective efficacy against blood-stage malaria, whereas CD8(+) T cells against some classical blood-stage Ags can also have a protective effect against liver-stage parasites. No subunit vaccine strategy alone has generated demonstrable high-level efficacy against blood-stage infection in clinical trials. The induction of high-level Ab responses, as well as potent T and B cell effector and memory populations, is likely to be essential to achieve immediate and sustained protective efficacy in humans. This study describes in detail the immunogenicity of vaccines against P. falciparum apical membrane Ag 1 in rhesus macaques (Macaca mulatta), including the chimpanzee adenovirus 63 (AdCh63), the poxvirus modified vaccinia virus Ankara (MVA), and protein vaccines formulated in Alhydrogel or CoVaccine HT adjuvants. AdCh63-MVA heterologous prime-boost immunization induces strong and long-lasting multifunctional CD8(+) and CD4(+) T cell responses that exhibit a central memory-like phenotype. Three-shot (AdCh63-MVA-protein) or two-shot (AdCh63-protein) regimens induce memory B cells and high-titer functional IgG responses that inhibit the growth of two divergent strains of P. falciparum in vitro. Prior immunization with adenoviral vectors of alternative human or simian serotype does not affect the immunogenicity of the AdCh63 apical membrane Ag 1 vaccine. These data encourage the further clinical development and coadministration of protein and viral vector vaccine platforms in an attempt to induce broad cellular and humoral immune responses against blood-stage malaria Ags in humans.